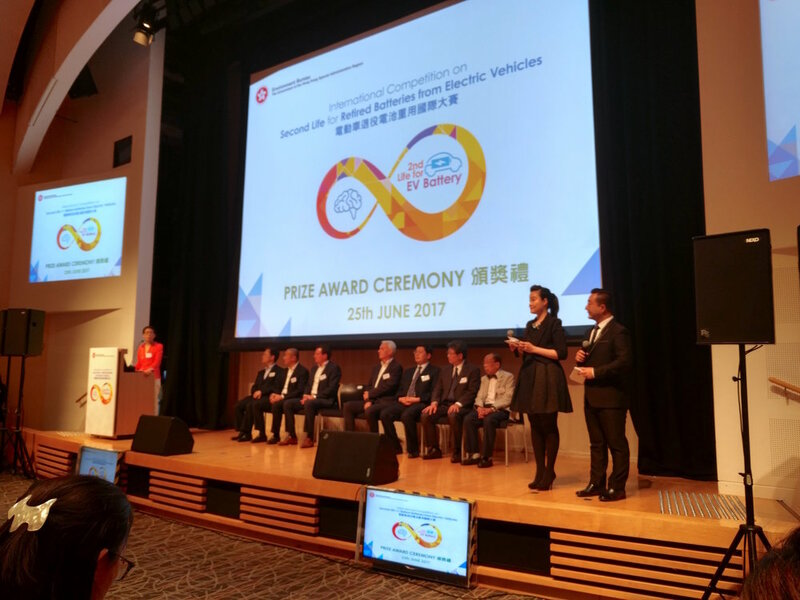 In view of swiftly growing numbers of electric vehicles on the road, the Environment Bureau of Hong Kong on 25 June hosted a world-first industry event to consider second-life battery solutions. As a leading innovator, Relectrify was invited to join discussions with a select panel representing large corporates with interests in second-life batteries. Hong Kong has been a leader in electric vehicles, with the number on local roads growing from under 600 in 2013 to over 7,000 in 2016, and 11,000 in 2017. The event, which was a success throughout (the delegate airport pick-up in Teslas was a particularly nice touch), clearly highlighted the focus of Hong Kong leadership to look ahead on both the challenges and wider opportunities new technologies have to offer. Relectrify was represented at the event by its Electronic Engineer and Data Analyst Zhe Zhang and Co-Founder Valentin Muenzel.